Clinical co-management is a concept designed to address the escalating cost of healthcare delivery whilst also improving quality. It does so by aligning physicians and hospitals in such a way as to increase coordination, improve efficiency, and to ensure that care is centered on patients. The institution of the Prospective Payment System for hospitals in 1982, combined with the advent of the Medicare Fee Schedule in 1992 for physicians, created a system whereby providers are incentivized to work at cross-purposes in care delivery. Hospitals are motivated to maximize the number of admissions while physicians are encouraged to increase the volume of services. Without intending to, this system has inevitably had negative effects on cost control and patient care. This has given rise to the concept of payment bundling, in which providers are held jointly responsible for the care they provide. Payment bundling takes many forms. The Centers for Medicare & Medicaid Services has introduced a number of pilot programs to determine how the concept might best be put into practice. Recent legislation has also allowed the creation of Accountable Care Organizations (ACOs), which represent payment bundling in perhaps its most developed form. The concept is still in its infancy, however, and therefore, presents some difficulties in implementation. This has caused providers to look for care delivery models that are easy to implement and that suit their particular needs. The model that an increasing number of providers are opting for is clinical co-management, which, like other bundling methods, is designed to induce physicians and hospitals to cooperate in a way that benefits patients. In co-management, hospitals and physicians partner to jointly manage a defined set of services. Physicians receive a mixture of management and incentive fees in return for helping improve the quality and efficiency of care. Because clinical co-management gives physicians responsibility for management as well as clinical concerns, it has the effect of broadening their scope of thinking, making them more sensitive to management issues. At the same time, it gives them greater authority and input on care decisions and so ultimately improves quality. More hospitals are entering into co-management arrangements. Co-management allows physicians and hospitals to tailor their agreement to suit their goals and circumstances to a far greater degree than other payment bundling models. It also helps establish trust between physicians and hospitals. For these reasons, it can serve as an intermediate step to further integration and the ultimate implementation of the ACO model. As such, an increasing number of hospitals and physicians have entered into co-management arrangements in recent years. For all its virtues, clinical co-management is still a novel idea and is, therefore, subject to some regulatory difficulties. Laws, on fraud and abuse, such as the Stark, Anti-Kickback, and Civil Monetary Penalty rules, must be considered for any agreement attempting to align hospital and physician incentives. However, these laws were not written with co-management agreements in mind and so minimizing compliance risk requires a thorough understanding of the relevant rules. Advis has been at the forefront of the development and implementation of clinical co-management. We have worked to bring together physicians and hospitals, in both the private and academic spheres, to successfully implement co-management agreements that are geared toward the specific needs of each party. 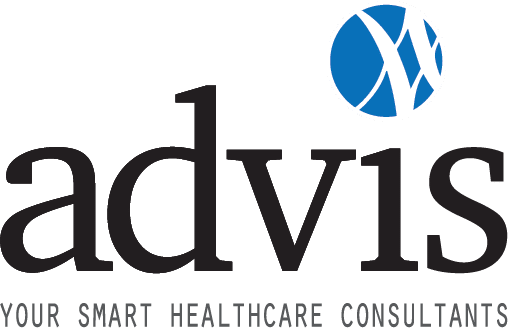 Perhaps most importantly, Advis is able to provide information and guidance to both hospitals and physicians to decide if clinical co-management is right for them and to shape the scope of any agreement. These projects require the utmost care and expertise on a myriad of aspects regarding the physician-hospital relationship, including reimbursement, compliance, and corporate restructuring. Through this process, Advis is able to offer providers assistance with asset purchases, fair market value analysis, and establishing the necessary quality benchmarks. In so doing, we have helped prepare our clients for the ongoing changes in healthcare reimbursement.